Sculpt away with our Pixel Perfect compact. Look instantly slimmer, lift those cheekbones and sculpt your features for a pixel perfect picture. A ‘must have’ for those ‘selfie’ lovers. 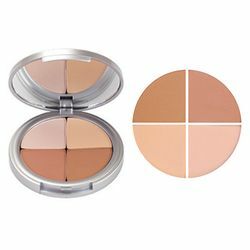 The 4-shade compact can be worn alone or blended together. Toss into your purse so you can transform yourself into an A-lister!